Regardless of the quality of customer service you provide, you will find yourself in unpredictable situations with complaining customers. They might shout at you, call you names, berate you, and try to embarrass or humiliate you as they express their outrage and frustration. During these times, you must maintain self-control, stay calm and respond in a professional way. You probably won’t enjoy managing this type of crisis, but with the following tips, you can learn how to calm infuriated customers and actually benefit from these stressful encounters. When customers confront you in an emotional state, you should let them speak their mind. You will probably feel tempted to interrupt and argue various points, but the best policy is to avoid further agitation by letting them finish. Pay attention to everything they say, and give affirmative, empathetic cues to let them know you sympathize with their situation. After venting, the customer should calm down enough to let you take responsibility for the situation and admit the problem. Providing excellent customer service means never making lame excuses or blaming others for problems. Offer apologies on behalf of your company and thank customers for drawing attention to the issue. This will give you the opportunity to serve them by finding and providing an acceptable solution. Make your angry customers feel empowered by asking them their opinion about how they would like to see their issue resolved. From that starting point, you can discuss available options. Never fall into the trap of saying phrases such as “I don’t know” or “That’s not my fault.” Instead, stay in charge by calmly making statements such as “I will find out” or “Thank you for letting us know.” Whatever the situation, try not to lose your temper with irate customers. Instead, win them over with a kind human touch that makes them feel important. Irate customers need to hear from you after the encounter, so contact them to tell them that your company appreciated their feedback and that you want to see if your solution satisfied them. As you speak with them, offer them a special discount or a gift to compensate for the problem they experienced. A small gesture can effectively exceed their expectations. If you respond poorly to an angry customer, you could get into a shouting match that embarrasses you in front of others. Angry customers can also go online and spread scathing critiques of your company on social media, blogs, and forums, resulting in negative sentiment for your brand. When you provide an excellent response to such a customer, you have a chance to impress them and win them over, so when they talk about your company, they will rave about your customer service. Responsibility. Admit problems, apologize and find suitable solutions. Pleasant communication style. It is important that you remain friendly, optimistic, and warm, even when customers yell at you. Listening skills and empathy. Make listening and expressing empathy to your customers your highest priority. They always need to feel appreciated and understood. Patience and calmness. You must stay relaxed and avoid the temptation to lash out. Confidence. You should come across as self-assured and reliable, but not rude or cocky. Let them know you can fix whatever has gone wrong, so they´ll have faith in you. Flexibility and resilience. Having the ability to work under pressure, manage stress, and adapt to different situations is essential in providing customer service. If you don’t deal with customers yourself, you must hire and train your staff so they can adequately respond to angry encounters. When you correctly respond to customers, you can appease them, even when they seem out of control. Often, when clients have vented, they will calm down, especially when they realize how much you want to satisfy them. When you receive an angry complaint, see the situation as a chance to win a loyal buyer through customer service excellence. If you exceed their expectations and give them extra value, angry customers might just turn into unpaid advocates of your brand. Additionally, you can use their feedback to develop and improve not only the products and service your company offers but also the overall level of customer service. 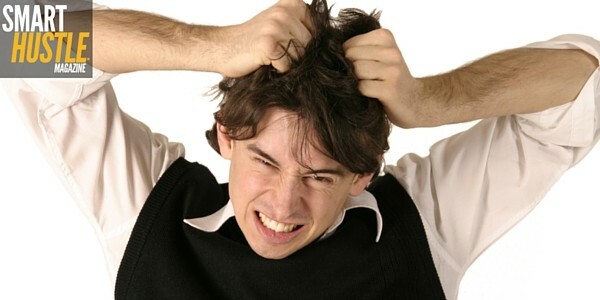 Businesses in practically every industry can expect to feel the fury of dissatisfied customers. When you calm them down using a kind, professional attitude, you can compensate them for their loss, solve their problems, and win their cooperation and support. You will soon realize that customer complaints give you and your company a great chance to become better. Try to use it to your advantage. Natalie Smith is a Seattle-based freelance writer who passionately explores all things related to small business, start-ups, entrepreneurship, marketing, and customer service. You can reach her @Natalie Smith.